We participated in EFECS, an international forum with a focus on ‘Our Digital Future’ along the Electronic Components and Systems value chain in Europe. 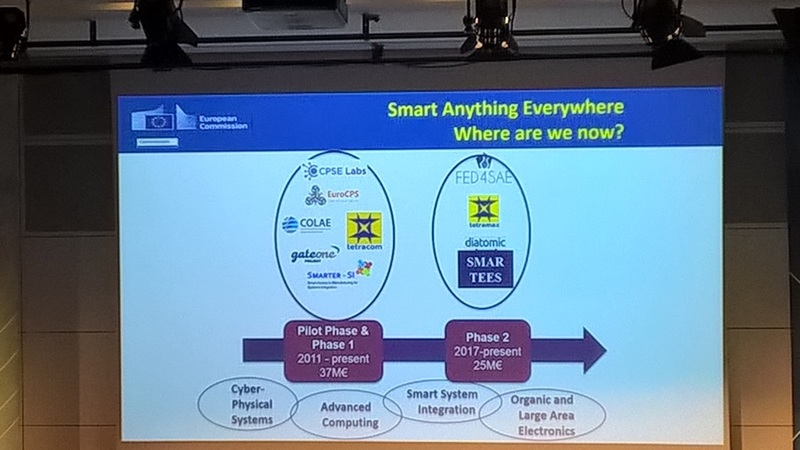 The organisers of this event, AENEAS, ARTEMIS-IA, EPoSS, ECSEL Joint Undertaking and the European Commission joined forces to bring all stakeholders together on 5-7 December 2017 in Brussels. There were discussions in many fruitful get-togethers. 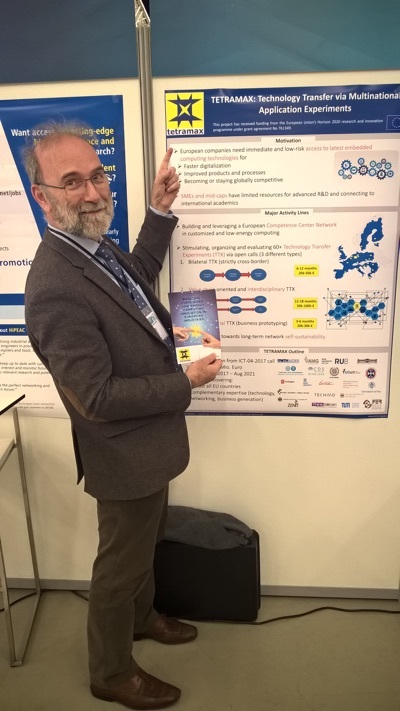 The TETRAMAX's funding opportunities were presented on Tuesday, 5th of December, and also Koen De Bosschere, UGent, represented Tetramax there at the exhibition.